DELTA ALLIANCE CAPITAL MANAGEMENT (DACM) is a firm organized to acquire and operate income property that can be enhanced in value though a combination of renovation, operational stabilization, and improved management. 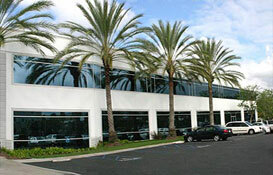 The company was formed in late 2010 to capitalize on the improving fundamentals in commercial real estate. DACM will build upon the existing business experience and relationships of its principals to garner product that will meet the company’s goals. Its principals bring over 30 years of experience in property management, real estate law, tax law, property repositioning, loan servicing and loan re-structuring. Moreover, the principals of DACM have over 100 years of combined industry relations – many with lending institutions and servicers of loans. This puts DACM in an exceptional market position designed to develop a unique competitive position in successful property acquisition and maximization of cash returns. DACM is a Limited Liability Company formed in the state of California. Robert C. Warren III is the majority shareholder and the managing member. DACM will partner on a contract basis with Investors’ Property Services to provide property level management of each of its acquisitions. Investors’ Property Services has a 30 year history of providing third party income property management services on a national basis and it is owned and operated by DACM principal, Robert C. Warren III. Over the past five years, Investor’s Property Services has directly managed over 20,000 residential management units and over 2,500,000 square feet of commercial space in nine different states. Delta alliance capital management announces its ninth Multifamily Acquisition. DELTA ALLIANCE CAPITAL MANAGEMENT, LLC ANNOUNCED THE SALE OF ITS THREE PROPERTY IN GRETNA, LA. DELTA ALLIANCE CAPITAL MANAGEMENT, LLC (“DACM”) is pleased to announce the acquisition of the Madison Park Apartments, a 576 unit apartment community located in Houston, Texas. DELTA ALLIANCE CAPITAL MANAGEMENT, LCC (DACM) is pleased to announce the acquisition of 288 units in suburban New Orleans, LA for 18 million dollars. DELTA ALLIANCE CAPITAL MANAGEMENT, LCC (DACM) is pleased to announce the acquisition of 452 units in two multifamily properties in suburban New Orleans, LA for 23.5 million dollars. DELTA ALLIANCE CAPITAL MANAGEMENT, LLC (DACM) is pleased to announce the acquisition of its third Midwest multifamily property consisting of 192 units located in Indianapolis, Indiana. DELTA ALLIANCE CAPITAL MANAGEMENT, LCC (DACM) is pleased to announce the acquisition from a private seller of two multifamily properties in Evansville, Indiana.